Let's connect our city, one story at a time. StreetSpeak is a mobile, storytelling platform that allows people to tell and hear brief stories in response to an interchangeable prompt. 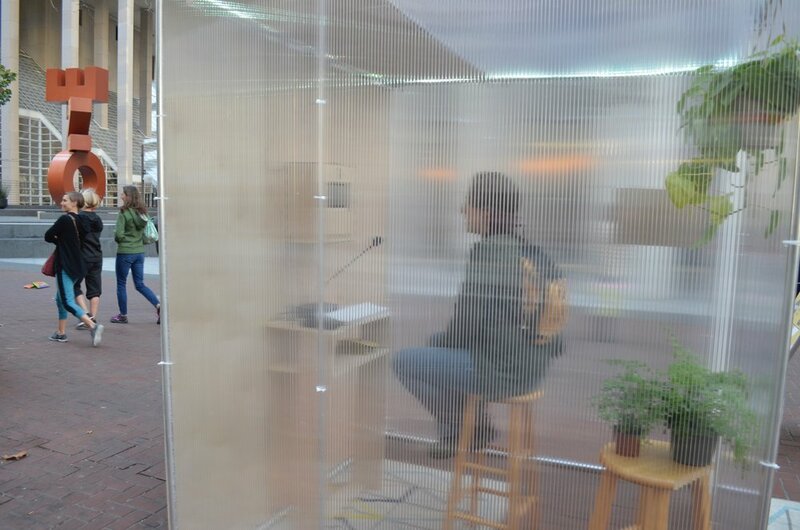 StreetSpeak encourages passersby to become engaged with others in the built environment they share, and connects them to others in their community. The interactive design allows individuals to activate the spaces where they live by contributing their own experiences to expand the reach of the platform. StreetSpeak can be used by people of all ages and abilities to record responses and offer opinions, tapping into the diverse needs of each community. Restart [your city] hopes to use StreetSpeak as a tool to inform how we build our cities with the input of the people who live there. 4. Invite your neighbors to join in on the fun! "Think about a stranger you once met. How did you meet them?" Host StreetSpeak @ your next event. Fill out the form below to request information and pricing. Note: We are currently designing various booth + housing options for StreetSpeak. If you have an idea, question, comment, please don't hesitate to reach out! How may people? Type of event? How long is the event? Etc. © Restart [your city] 2017. All rights reserved.